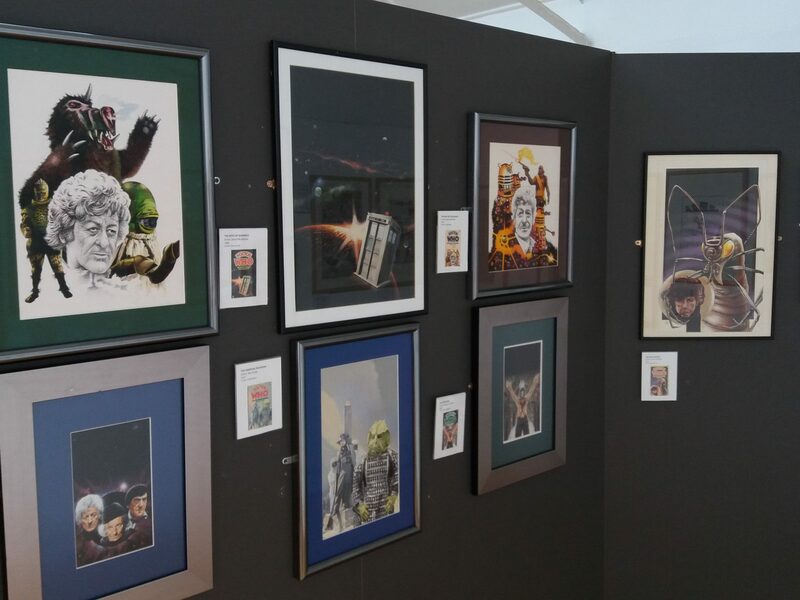 Now extended until June 5th, this exhibition of classic Target book covers is a welcome chance to get a close-up view of the artwork that helped to make the novelisations such an integral part of Doctor Who in the 1970s and 1980s. It may be a small-scale display (the Cartoon Museum, located close to the British Museum in London, can’t compete with its near-neighbour when it comes to gallery space) but it’s well worth a visit, whether you grew up reading the books or just fancy an insight into why they are still cherished by so many people. There’s a nostalgic thrill, of course, at seeing the originals (most of which are much larger than expected) of covers such as The Daleks, The Web of Fear, and The Space War, but it goes beyond that. These paintings, with their bold images of classic Doctors, monsters, robots and spaceships really benefit from being displayed gallery-style where you can appreciate the full impact of the movie poster-like collages which were so crucial in telling readers what they could expect if they parted with their pocket money. Everyone will have their favourites; being a child of the 1970s I’m probably biased but for me the Chris Achilleos covers are unbeatable. 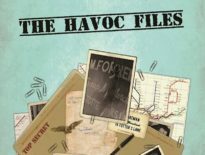 Seeing The Day of the Daleks, a favourite from childhood, up close gave me goosebumps, but I was also struck by The Cybermen, with that hang-dog Patrick Troughton and blank stare of the enemy of the title – no wonder kids bought so many of these books with that kind of enticing image on the cover. Andrew Skilleter is less well-represented, unfortunately, and arguably the covers of his on display here aren’t his best, although that despairing Sharaz Jek on The Caves of Andrazani evokes the story well. 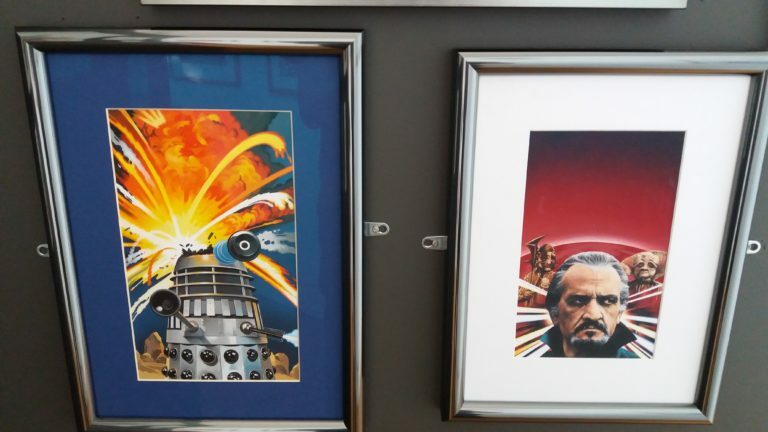 It’s nice that some of the unsung talents of the Target range have work on display – there would surely have been complaints if Roy Knipe’s exploding Dalek had been absent, and there are great examples of Jeff Cummins’s work including The Face of Evil and The Tomb of the Cybermen, which may depict the wrong kind of Cyberman but is still a wonderfully simple cover. Personally I would have loved to see one or two of Times cartoonist Peter Brookes’s covers (I always had a soft spot for his comic strip style) but you can’t have everything. It would have been nice if some information text had been displayed alongside the covers to give us background on why the artists made the choices they did, and there surely will have been many visitors who would have happily bought postcards of the covers displayed if they had been available. 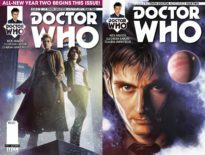 But those feel like minor quibbles; Ed Russell, Doctor Who‘s Brand Executive, deserves huge credit for putting this exhibition together (no easy task with many of the covers now in private hands in disparate locations). It may be some time before it’s possible to gather such a collection in one place again, although the exhibition has clearly been a success so perhaps we can hope for a follow-up? 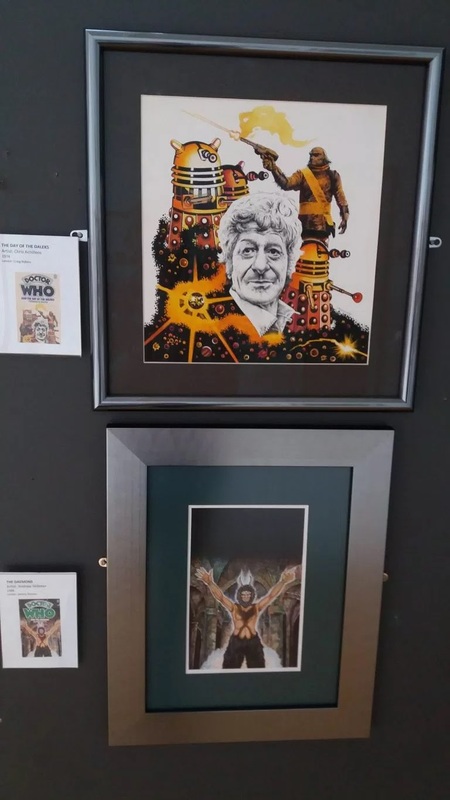 Do get along to see the exhibition of you can – it’s been extended until Sunday June 5th and you entrance fee of £7 (£5 if you take along this month’s Doctor Who Magazine) also gets you into the really informative Great British Graphic Novel display too. For full details and visitor information visit The Cartoon Museum.